(Lars Jones) Only about two years after announcing plans to build the $25 million Golden Mesa Casino near Guymon, Oklahoma, it appears that the Shawnee Tribe is on the fast track to approval by the Bureau of Indian Affairs (BIA) according to local and niche news reports. In a November Notice of Availability for Shawnee Tribe Casino Environmental Assessment from the BIA the agency stated that “Based on the Environmental Assessment (EA) for the Shawnee Tribe Casino project dated November 2016, it has been determined that the proposed action will not have a significant impact on the quality of the human environment, therefore, an Environmental Impact Statement is not required and a Finding of No Significant Impact (FONSI) has been proposed for signature of the Assistant Secretary, Bureau of Indian Affairs,” effectively clearing a major hurdle for the off-reservation casino. According to Indianz.com, casino land-into-trust applications typically require a full environmental impact statement which can take several years depending upon the complexity of environmental issues involved along with legal and political issues. Under the two-part determination process outlined by the Indian Gaming Regulatory Act (IGRA), Oklahoma’s governor would still have to approve the casino in order for it to go forward. The Kaw Nation is the only tribe in the state so far to accomplish that feat with their Southwind Casino Braman – which could soon be renamed Rock & Brews Casino Resort in a recently announced partnership with Gene Simmons and Paul Stanley of KISS rock and roll fame. 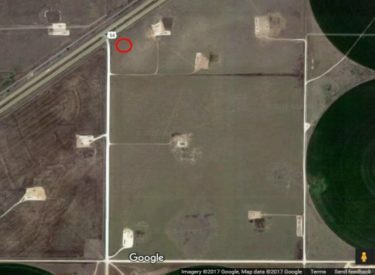 The 42,309 sq ft casino is planned to be located about 3.5 miles southwest of Guymon in the panhandle region of Oklahoma over 400 miles from the tribe’s headquarters. Although the first step for the Shawnee Tribe took less than a year, there is controversy and opposition to the move. The Shawnee Tribe has no jurisdictional lands of its own so in 2000 U.S. Sen. Jim Inhofe championed a bill restoring the tribe’s federal recognition and giving them the right to secure land outside the lands of any other tribe in the state as long as the land is essential to the tribe’s economic well-being. The tribe’s previous efforts to create casinos near Oklahoma City caused a political backlash and were not approved. The Golden Mesa Casino plans call for a restaurant and bar along with a casino floor offering 600 slots and 8 gaming tables located on about 100 acres on Highway 54. According to the 2010 Census, the Texas County Seat had a population of 11,442 and 3-star hotel rooms go for about $90 per night. The incoming Trump administration would need to approve of the two-part-determination under the IGRA before returning the issue to Oklahoma Governor Mary Fallin for final approval. Indianz.com reports that the governor met with Trump in November and discussed Indian issues with the president-elect. She reportedly concurred on the Kaw Nation’s off-reservation casino. The casino would be operated in partnership with the Chickasaw Nation.